This page provides you with instructions on how to create your own structured sample CV based on a brief summary of the 2019 Sample requirements. A Structured CV, which you might try to create for yourself in Word, must contain certain pieces of important information—without it, this crucial document definitely won’t be up to par! Your Structured CV should include all the following parts. For whatever reason, if you have to manually create your own Structured CV, we recommend that you at least use MS Word instead of Notepad, because with Word you can at least check your spelling and grammar mistakes. After all, it’s crucial that your sample structured CV, especially in 2019, is absolutely perfect and faultless because it just might decide your future. Without exaggerating, your CV may influence your life for many years! A Structured CV should include all of the positions you held separately, starting with the most recent. A structured CV should include all the individual courses you’ve completed, starting with the most recent. List the personal abilities and skills you’ve acquired during the course of your life or at work. These don’t necessarily have to proven by an official certificate or diploma. Technical abilities and skills – computing, special instruments, tools, etc. A structured CV should also reference your driver’s license(s). A Structured CV should include all other relevant information, e.g. personal contacts, references, etc. Is it possible to include any attachments? Of course—a Structured CV may include attachments, but they must supplement the information you present in your CV. Attachments may include, for instance, various examinations, certificates, licenses, retraining, and other courses. How does a professional recruitment agency view your Structured CV? A curriculum vitae, frequently abbreviated to CV (curriculum vitae = "course of life"), is understood in the hiring process as a description of the applicant’s professional life and a brief list of his/her education, work experiences and other data which may significantly influence the selection of this candidate. Currently, it usually serves as the first point of contact between a job seeker and his/her potential employer. It’s not difficult to write a CV; unfortunately, it’s also not difficult to make unnecessary mistakes. You may find some information on what a Structured CV should look like, what it should include and what to avoid in our article called How to Write a CV. Or, spare yourself the work and easily have a CV generated here. Perhaps we can all think back to our days in school, when our teachers would examine our writing skills with a fine-tooth comb. Maybe you even had some personal instruction on how to write a classical CV. But with the onset of the hectic modern lifestyle and with tens and hundreds of applicants applying for the same jobs, it’s necessary to both save time and keep the attention of the HR department. If an employer does not directly insist on the submission of a typical CV, which happens in rare cases, you should still present a list of concise and clear information in your Structured CV. 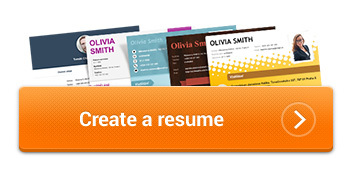 A structured CV should never exceed two standard pages, and one page is usually plenty. This page should include only the most significant information that makes you an attractive candidate to your future employer. You have a much greater chance of making your CV stand out from all of the others if you include something interesting and original about yourself, or some added value that you would bring to the job. You can provide more detailed information in your motivation letter, and if you write a strong CV, you can discuss your attributed in depth during your personal interview. Remember that the information you provide must always be truthful! You should definitely not resort to lying. Don’t leave yourself open to the possibility of being discovered as a liar and totally destroy your chances of landing your dream job.